Ever since Twitter “broke” at SXSW in 2007, industry observers have been looking for the new new thing, the technology that they can say “I was there first” about. There haven’t been many wins on that front since 2007 (FourSquare and GroupMe both arguably had their moments in the sun) but that seems all but guaranteed to change this year, thanks to new live streaming start-up called Meerkat. The output of a Bay Area company called Life on Air with roots in Israel, Meerkat allows users to livestream video directly from a Twitter feed. Launching the app calls up a screen that invites you to start streaming and then tweets the news of the livestream directly to Twitter. That’s it: no editing, no special effects. And the stream is gone once it’s done: Meerkat just leaves a placeholder frame in place with the message that the stream is over. This Snapchattian feature is easily overcome, however, as Meerkat allows you to save the video to your iPhone (an Android version is coming soon) where you can upload it to YouTube, Facebook or, if it’s shorter than 30 seconds, Twitter. So what is the application of this new 2nd screen app for the television industry? It can be a great driver of live tune-in, particularly for shows like news, sports and even talk shows, that are filmed live. Meerkat offers the ability to show off behind-the-scenes activity, uncensored, as it’s happening. It gives TV news crews the ability to stream what’s essentially raw footage from the scene of breaking events, along with their own commentary. It can even be used by scripted series to show off the cast and crew during a table read or similar meeting where the audience gets to see the cast in “unscripted” mode. 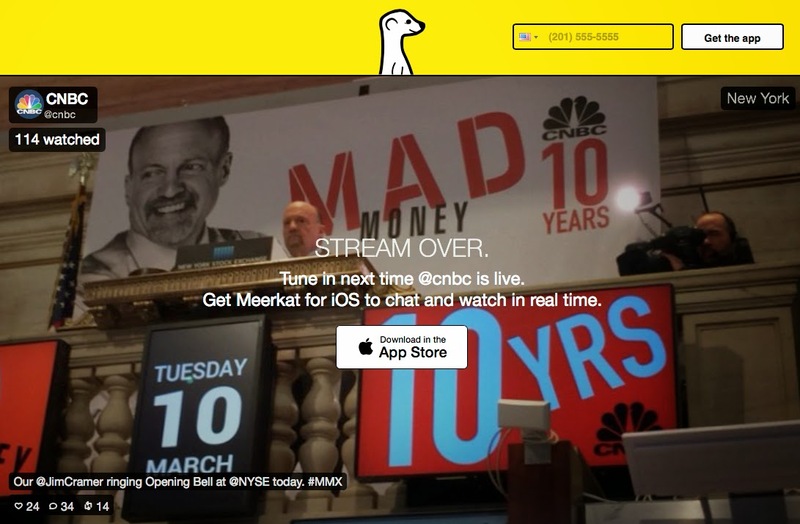 CNBC has already been experimenting with Meerkat, webcasting host Jim Kramer’s ringing of the opening bell at the New York Stock Exchange to celebrate his show “Mad Money’s” 10th anniversary. That’s exactly the type of use case Meerkat is good for. Smart network marketers will promote the webcasts ahead of time so that viewers will know when to be looking for them. And with Twitter’s new third party ad serving system in place, those Meerkat streams can be pushed out to additional sites and apps where users can engage with them. Since Meerkat users need to sign in via Twitter, there’s a lot of data that can be gleaned from the app: who was watching, for how long, what are their demographics, have they engaged with the show previously, what else do they tweet about, what else do they follow. 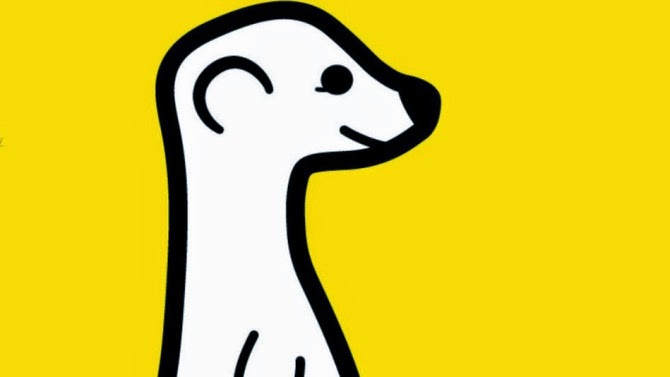 While Meerkat will never be another Facebook (at least not with its current functionality) it’s a very well done value-add for Twitter, and showrunners and network marketing teams should definitely look into experimenting with it. As for us, we’re keeping on eye on which shorthand emerges from SXSW this week. Will people be #Meering or will they be #Katting? We’ll keep you posted. Originally published at www.2ndscreensociety.com on March 12, 2015. on March 12, 2015.